You can argue that Windows 10 is better when you’re using it in conjunction with a Microsoft Account. It means you can sync your data and settings, install apps across multiple devices, and automatically sign in to apps and services that use a Windows ID for authentication. That said, some people are uncomfortable with using a Microsoft Account to log into their machines. Whether it’s concerns over security, worries about how Windows handles private data, or a simple yearning for the olden days, some users feel happier using a local account. 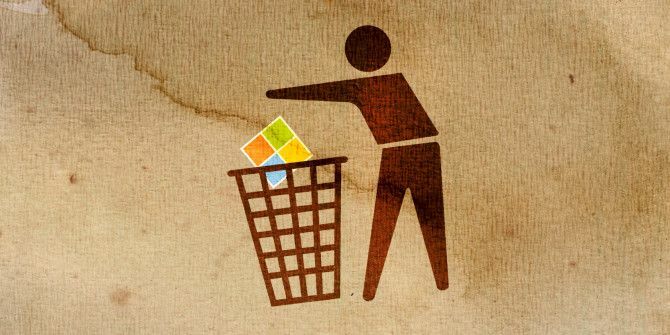 In this article, we look at how to totally delete your Microsoft Account and how to make a local account on a Windows 10 machine. How Do You Get a Windows Account? Lots of people will have a Windows Account without even realizing it. 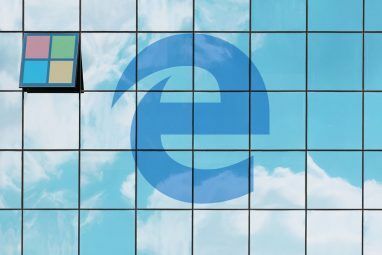 In fact, if you’ve ever had a Hotmail email address, an Xbox Live account, a .NET Passport, or used some other Microsoft service, the chances are you’ve got one. Note: Hotmail is now dead Hotmail Is Dead! Microsoft Outlook Email Services Explained Hotmail Is Dead! Microsoft Outlook Email Services Explained Stop searching for Hotmail! The terminology surrounding the various Microsoft Outlook email services is confusing. If you no longer know whether it's called Outlook web app, Outlook Online, or other, let us explain. Read More . Microsoft’s email services are all under the Outlook umbrella. It is the latest incarnation of Windows Live ID, with the rebranding occurring around the time of Windows 8’s release in late 2012. It now provides a single sign-on for most of Microsoft’s services, including Outlook, Bing, Office 365, Skype, and OneDrive. Getting rid of your Microsoft Account is a three-step process. Firstly, you need to create a local account to log into Windows. Secondly, you’ll have to remove your Microsoft Account from Windows 10, then finally, you can go ahead and delete the account itself off Microsoft’s servers. Before you start, be aware that although you can re-add your account to a computer, once it’s deleted online there is no return—your data will be lost forever. 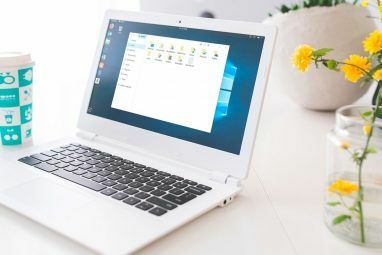 You cannot delete an account from your machine while you are signed into it—you’ll need to create an alternative login with a local account first. To do that, access the Settings menu; you can find it in the Start Menu or by pressing Windows + I. Next, navigate to the Accounts page. Once there, make sure you’re on the Your info tab. Here you will see the option to Sign in with a local account instead underneath your name. Click it, and follow the on-screen instructions. After you’ve set up the new local account, you need to navigate to Settings > Accounts > Email and app accounts. Scroll down to the bottom of the page and highlight your Microsoft Account in the Accounts used by other apps section. You’ll be presented with two options—Manage and Remove. “Manage” is essentially a shortcut to Microsoft’s online account management portal. You need to choose “Remove” and follow the remaining on-screen instructions. Now that you’ve successfully removed the account from your machine, you can go ahead and delete it from Microsoft’s database. This will ensure that none of your data is used by the company without your consent, and will prevent it being harvested by an unapproved third-party without you being aware. Before proceeding, make sure you’ve done some basic housekeeping by deleting any credit card details you might have saved in the Windows Store, erasing all your emails (and get to inbox zero!) Get to Inbox Zero in Gmail With These Strategies Get to Inbox Zero in Gmail With These Strategies Staying on top of email is tough! The key to inbox zero is automating as much of the process as you can. We'll show you how to approach inbox zero in Gmail. Read More and emptying the trash, removing any sensitive data from OneDrive, and backing up any important files. Once you’re sure that you are ready to proceed, navigate to login.live.com in your web browser and enter your login credentials. You’ll be presented with your account’s welcome page. You need to navigate to the Security tab along the top of the screen, then click on More security options at the bottom of the page. Finally, scroll all the way down to the bottom of the page and click on Close my account. You’ll be presented with a warning screen that highlights some additional steps you should take before you make the plunge. Click Next. You’ll then be shown one final screen. Tick all the checkboxes to confirm that you understand and agree that a host of services will be deleted and lost, select the reason for the closure from the drop-down menu, then click Mark account for closure. You will notice that you still get 60 days of grace. If you change your mind at any time during the grace period you can reactivate your account by logging back in and answering some security questions. If the 60 days lapses, your account is gone for good. Note: The Settings app is a powerful tool 9 New Settings Features in the Windows 10 Fall Creators Update 9 New Settings Features in the Windows 10 Fall Creators Update Does the Settings app seem to change every time you use it? We'll show you the most important features you may have missed since the last Windows 10 update! Read More . We’ve covered some of its most recent changes if you want to find out more. Which Type of Windows Account Do You Use? How do you use your Windows 10 machine? Are you running a local account, or do you prefer to use a Windows Account? You can let us know in the comments section. And if you’d like to learn more about using local accounts, read our articles about how to secure your local account on Windows 10 How to Add Security Questions to Windows 10 Local User Accounts How to Add Security Questions to Windows 10 Local User Accounts Want to make resetting your local Windows 10 password easy? Here's how to set up security questions. Read More and how to manage admin rights on Windows 10 User Account Control and Administrator Rights on Windows 10 User Account Control and Administrator Rights on Windows 10 Whether you use an Administrator or a Standard Windows account, what matters is your User Account Control security level. Here's what you need to know. Read More . Explore more about: Computer Privacy, User Account Control, Windows 10. I wish I had known about this problem before I installed Windows 10. One Drive is a nightmare. This article answered all my questions, and I have now deleted the Microsoft account I was more or less forced to open while installing Windows 10. Just install Windows 10 WITHOUT Internet. Unplug the Ethernet cable or turn OFF Wifi before installing Windows and it will NOT ask for a MS account. For years I have had several hotmail/Outlook email accounts, mainly because email aliases were not available to assist in organizing and deterring email spam. BTW, 90% of the rules i create to prevent the flood of spam are against Microsoft. A couple of years ago, using the "alternate email address", I created 3 Outlook email accounts for my father who wanted to get away from GMAIL, a friend who was not technically inclined to share Road Trip pics, and myself to organize and consolidate using email aliases from all my other accounts. After creating them, i sent test emails to/from each to check them out. In less than a week, all 3 accounts were "Suspended" and labeled as sources of SPAM! BUNCH of CRAP! To activate them they wanted a "text able" number to send an authorization code! My impression! Although they allowed creation of the accounts using an "alternate email address", Microsoft's sole intent was to get my personal cell phone number and allowed the creation with an "alternate email address" as to not to deter you from creating the accounts. Once created, they suspend the accounts as hostage to get your personal cell phone number. I also experienced that now, as it was not the case in the past, that if you create email aliases they block emails being sent from them and again demand a Text able phone number even if the Primary email address has been in use for years. I rarely log in through the "Account" route, so to see what was actually going on, I had to go through the "Account" route to see what was going on. So when i entered the account i use on my phone, i was greeted with my correct birth date right in the middle of the screen! I have never provided Microsoft with my correct birth date, i see no reason for them to have it period! But i do give a date that adequately portrays my age, and i religiously do that for everyone. I am sure that when that email account was tied to my phone, they got that information from my carrier. Again, I see no reason for my birth date to be displayed in my "Account", and if it ever gets compromised, my birth date becomes available for Identity Theft. It baffles me that logging into my "Account" I need to see my birth date, does Microsoft feel i need to be reminded when it is my birthday! Just plain stupid! PBS show Frontline just did a 2 part documentary on Facebook revealing how recklessly Facebook used their users personal information. These companies think nothing about your personal information in their quest for profits. So in summary, Microsoft uses hotmail/Outlook account and alias creation as a "bait~n~switch" tactic to obtain your personal information. I am preparing for the day when my decade+ old accounts, that are not tied to my cell phone number are "Suspended" based on a LIE that they are being used for "SPAM" in order to blackmail me for my cell phone number and other personal information they can extract from third parties! Even newer cars with mapping capability, when you stop in for service, the dealer will download where and when you have been......and you thought you should be worried about the government being "Big Brother"! Doesn't work, my Win10 Pro settings panels don't look like the ones above at all. Windows had decided I have to sign in with a Microsoft online account all of a sudden, and I had to go through password recovery just to get into my desktop. This is SO F RETARDED. It emailed me a code, which I could read only because thankfully I have a MacBook Pro that I actually use for work (Windows = GameOS to me, NEVER would I make myself dependent on it for work). If this were a Windows laptop, how would I get to the emailed code? Genius, MS! No, retardedAF is what it is. I can't find anything to get rid of this utter, sheer, gross stupidity of having to login to some lame cloud service to use my own F computer. Oh, and "no internet connection detected" because Windoze has such a pathetically slow DHCP client it takes 20 seconds for it to secure a lease. Please, help, how do I remove this idiocy?! Not sure what version of Windows 10 you are running but my menu is different from yours. I don't have "your email and accounts". What I have is "email & app accounts". And there is NO "sign in with a local account instead" option. So, I cannot do step 1. About step 2, I only see the "manage" option. Can't find "remove". I'm running 16299.309 version 1709, Windows 10 Pro. Yes I switched to a local account from Microsoft account on Windows 10 and when I tried reverting back I found that all my apps on home screen weren't showing up any longer, my data all empty like a whole new start up. Please I need your help on how to get back on my profile. I guess I don't mind Windows Live except when people receive my email it say Window Live instead of my name. Then people delete the email because they think it's spam. Thanks for this very fine guide. I got very tired of the account after a reinstall, where I now cannot activate Windows 10 Pro. Recently I had a NIGHTMARE with microsoft. I have 2 Asus Transformers that I used my microsoft account as a login. I then switched my login on BOTH tablets and deleted my microsoft account. Months later both tablets required my deleted microsoft account to sign in. I took it to my local Geek squad to factory reset or try and find a way around it and they got to the factory reset, however it required a code from MIRCOSOFT do proceed, which in order to get I needed to log into the now deleted microsoft account. I called microsoft about this issue and after an hour was basicially told that IF I wanted to keep my information I needed to REMOVE the hard drive from the device and tranfer the data THEN put the HD back into the device. Other than that. . . Microsoft said there was NO WAY around this horrible loop. Over $1500 down the drain because of microsoft. .. I have a Microsoft/Outlook/Hotmail account and want to keep it. However, my home PC is an open PC. I do not want anyone who uses it to have direct access to my Microsoft Account. If I want to use my Microsoft account, I want to only do it at that time, not all the time I am using my computer. Personal files are already protected behind a password. Hi! I completed steps 1 and 2 but am not able to sign in to my online microsoft account to do step 3. Whenever I try to sign in, the screen returns to a list of microsoft options but not to my account settings. Any ideas why this is happening? Hello, I started with Step 3 instead of 1, and now I can no longer remove the deleted account from my machine. Any idea ? Thank you for the step by step process. It helped greatly to get out of that account (Windows Account). I opened it, thinking it would help to use an account called Google Docs and sync with my phone. But found the account was 'taking over' my PC (because I am new at this). And this morning I wasn't able to open or access my OpenOffice documents. Not knowing how to fix that, I opted to rid my PC of the Windows account. But I now see that I still can't open my O.O. docs. But still glad to be out of the Windows account - for now. very clear. works well. Thank you! I used a system restore prior to the date I setup the MS Account.After the restore was completed the account was gone. Thank you, thank you, thank you for writing this article! I just finished closing my M$ account, and I feel a great weight lifted off my shoulders. Microsoft is becoming creepy to do business with; they are so invasive. When I bought my computer with Win 8 installed, I couldn't see anywhere how to get out of having to open an account, and give them my personal information. I mean, I gave them a bunch of totally fictitious information, but...ewww. Thanks again.